Scheduler is important to manage your time and see other people's availability. 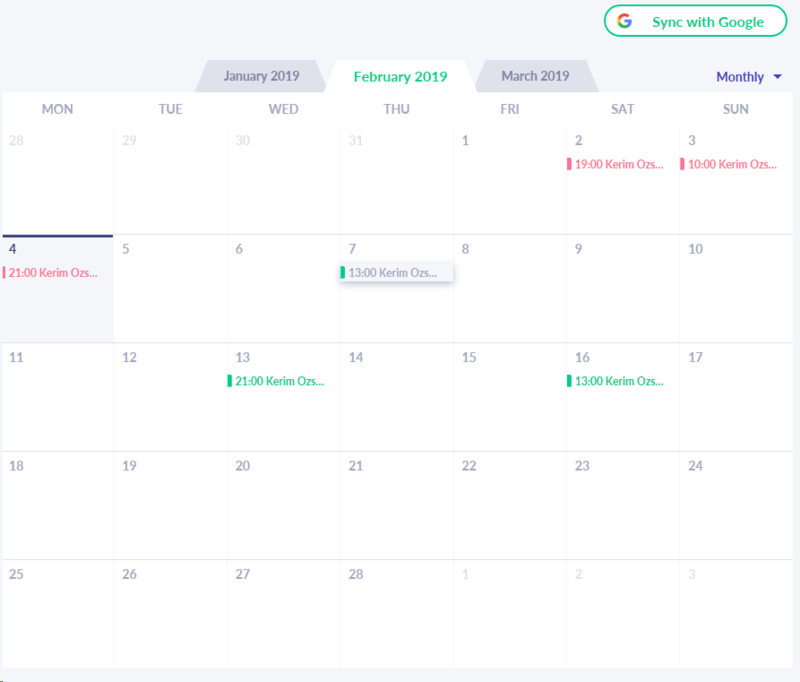 Our scheduler is the core feature of our platform. Drag your cursor to the plus sign. On the pop-up window, select available times and the location. You can also add discounts for your lessons. On the pop-up window, write and select your student's name. Enter available timed and the location. You can add recurrence lessons or add discounts. Enter the learning the goals. The animation below shows how the steps that have stated above. 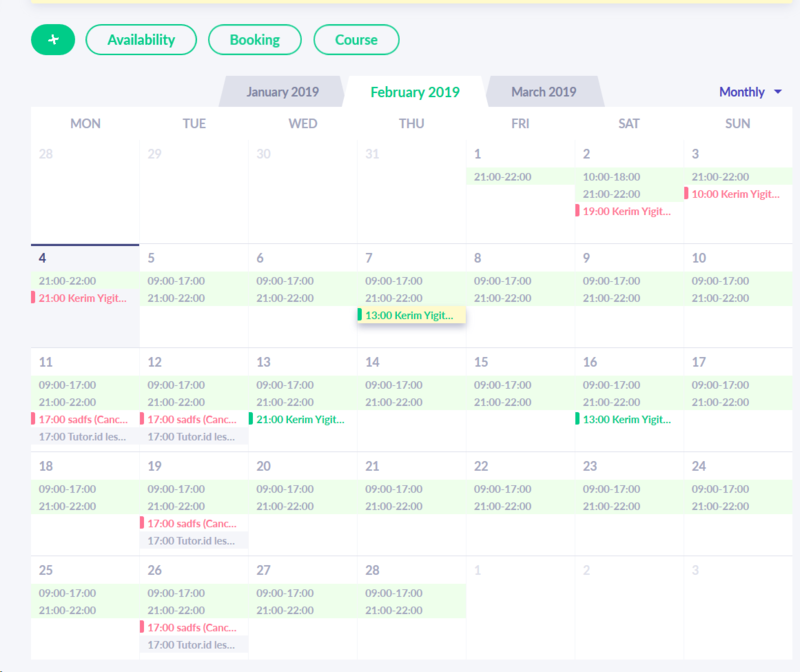 Tutors can add discounts while they are changing their availability or while they are booking a lesson on behalf of the student. The picture below shows the relevant field for adding discounts. Tutors can sync their Google Calendar with our calendar. The picture below shows the "Sync with Google" button's location. Tutors can reschedule the lesson or cancel the lesson. 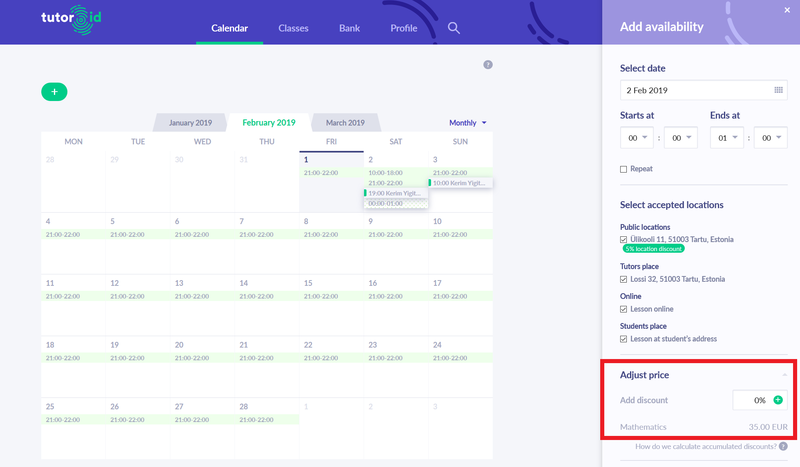 The options are visible when tutors click on the lesson that is on their calendar. The picture below shows the options to cancel / reschedule a lesson. Add details on the pop-up windows. Invite students via e-mail or search students via our platform. Wait for student to accept your contract details. After the student's acceptance, the course can be confirmed. Click on the course which is on your calendar. Just like tutors, students can also sync their Google Calendar with our calendar. The picture below shows where to find the "Sync with Google" button. Students can keep track of their courses on the calendar. The picture below shows an example of a student's calendar. Students can find tutor's availability via our calendar. To see that, student should enter tutor's profile and check the tutor's calendar. The picture below shows an example of a tutor's calendar. By clicking the available times on tutor's profile, students can book a lesson via our scheduler. You can find detailed information here. 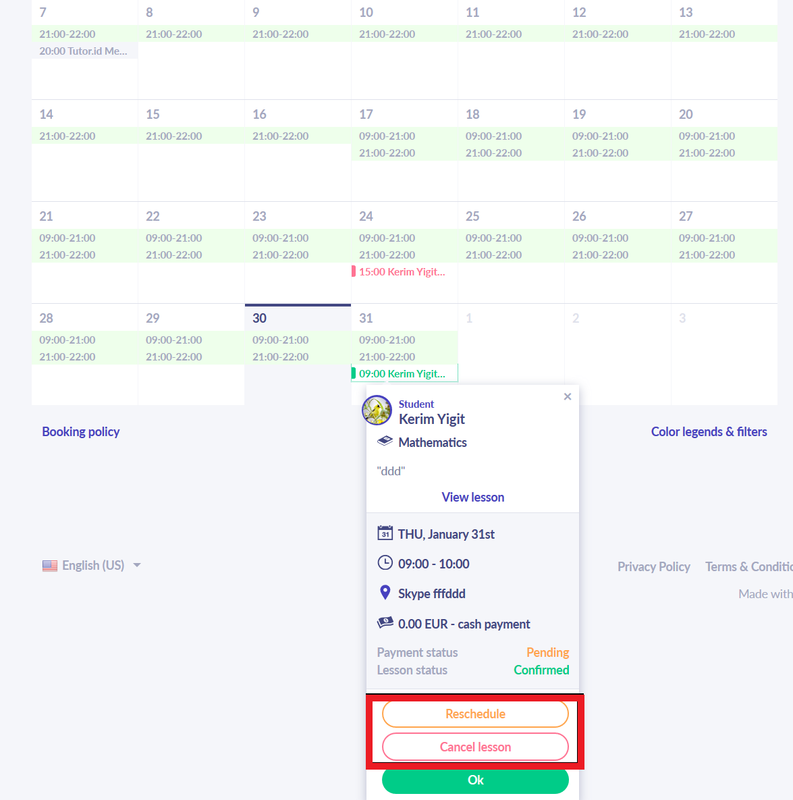 At the end of every booking, if the card payment is selected, students needs to enter their card details and execute the payment. You can find detailed information here.